I am not sure what exactly made me think of it, but part of it was contemplating my scrap pile. 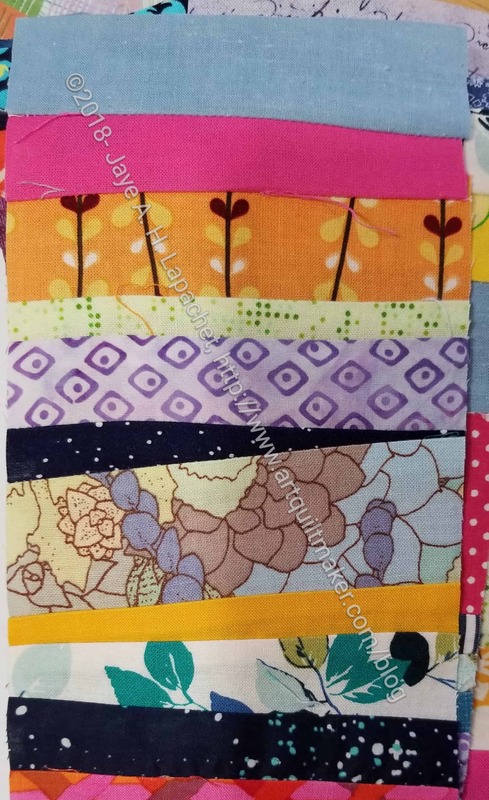 After cutting a bunch of squares with the Accuquilt, I still had a lot of strips. Also, as I have said, a block Alison showed me inspired me. Instead of making the regular 16 patches, I have been making these strip blocks. 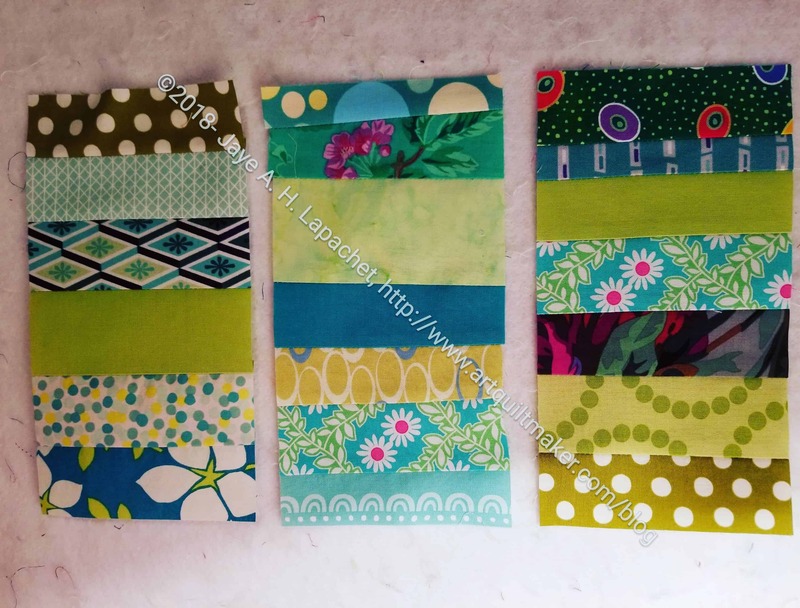 I want to use up scraps and I have a lot of strips left. I decided to start with my green scrap drawer. It is closest to my sewing machine. So far I have three blocks done. 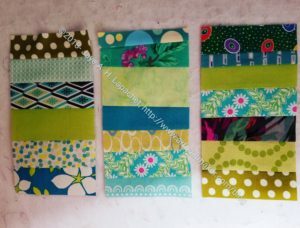 I’d like to make the blocks for the entire quilt green, but I don’t know if I will have enough strips/scraps to do that. I’ll see and will be flexible. What are the sizes of these? And how will they go together? I was assuming rail fence, but they aren’t square.